For use on plasterboard, drywall finishing, rough timber, rust removal and metal polishing. Open mesh resists clogging. Prodec Advance Sanding Mesh 115mm x 5m 120 Grit is rated 4.8 out of 5 by 10. Rated 5 out of 5 by Flashg from Sanding mesh Saw this being used on a utube video and I thought that's just what I need for my job - and it was brilliant, worked perfectly and now I can use it on all sorts of jobs around the home. Rated 5 out of 5 by Denbysters from Extraordinary This stuff saves me so much money compare wit sandpaper, and does the job better. Feels like an industry secret. Rated 5 out of 5 by Dai The Doktor from Clean to use, multiple uses. Easy to use, just tear or cut what you need to use. I use this cut into strips for plumbing use (good for pipe cleaning prior to soldering, can also be used wet...such as those awkward won't stop dripping pipe repairs), I also use this with a hand sanding block for wall/filling repairs / decorating. 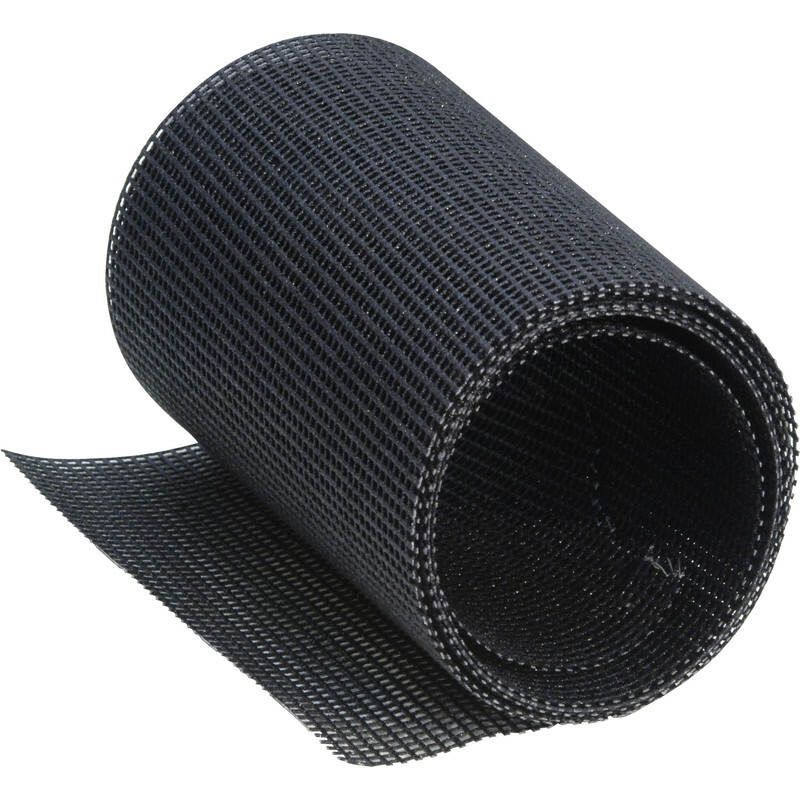 It works well with dry lining sanding pole, however, being a double sided mesh it will also wear the rubber backing on the sanding head - just something to be aware of, especially if you use expensive tools that you look after. (I found out the hard way). Being double sided does have an advantage though - just turn it over when the other side is worn..very handy when stuck upside down in a corner doing a pipe repair! Rated 5 out of 5 by Aussy from A1. Have used this many times before & will again ! Just use it & you will see why !!!! Rated 5 out of 5 by Barn man from Work's well on plaster Work's very well on plaster and does not clog. However a slightly coarser grade like 100 would be even better to cut faster while still leaving a good finish. Not tried on metal or wood yet.